Have you seen Bonnie Olaveson's book Cotton Way Classics - Fresh Quilts for a Charming Home, published by Martingale? 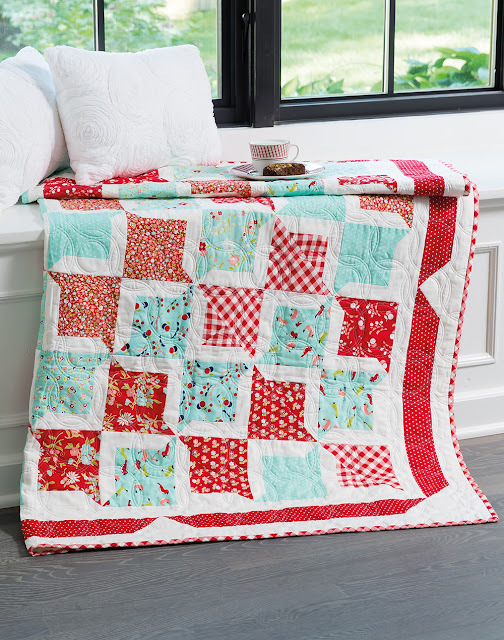 The book displays 13 of her designs, with quilts showcasing fabrics from the Bonnie and Camille collections by Moda Fabrics. They are sooooo beautiful! Bonnie's background in pattern design has been delighting us for years, accented by the fabrics we have come to recognize and love. 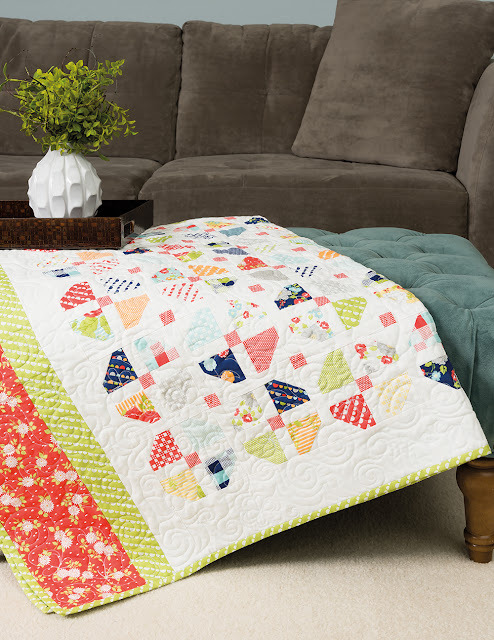 The pages in this book entice us to sew: each design has vibrant colors against a white background, with blocks organized to create traditional as well as modern quilts. 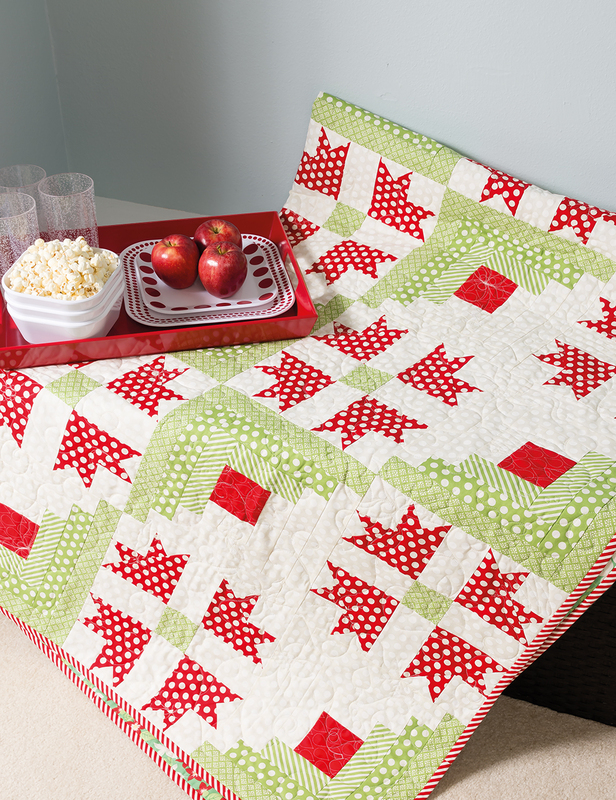 Do notice the binding on these quilts! The same airiness from the quilt centers is carried through to the binding fabric, an alternative worth considering when we are choosing fabrics for our own quilts. 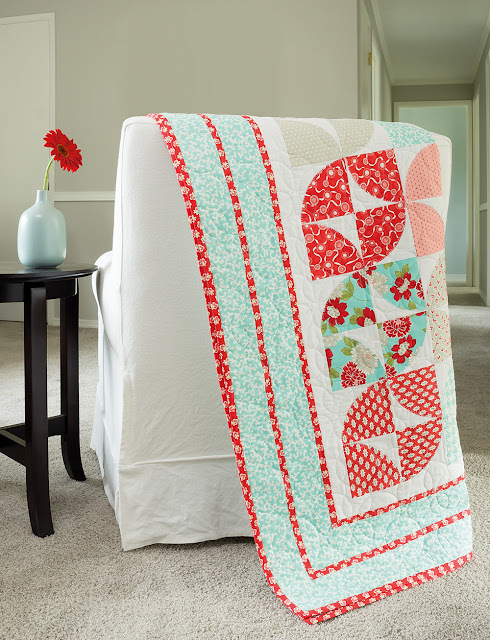 Isn't it amazing how Bonnie's fabric selections lend a fresh look to traditional blocks? The big white dots of the red fabric on the flower blocks above blur the lines between patch and background, adding dimension and matching the jagged edges of the log cabin blocks. Love it!!! The scrappy Topsy Turvy, above, is a perfect way to use up the pieces of fabrics we have in our stash, or leftover charm squares from other projects. As a pattern designer myself, I am inspired by the work of others. 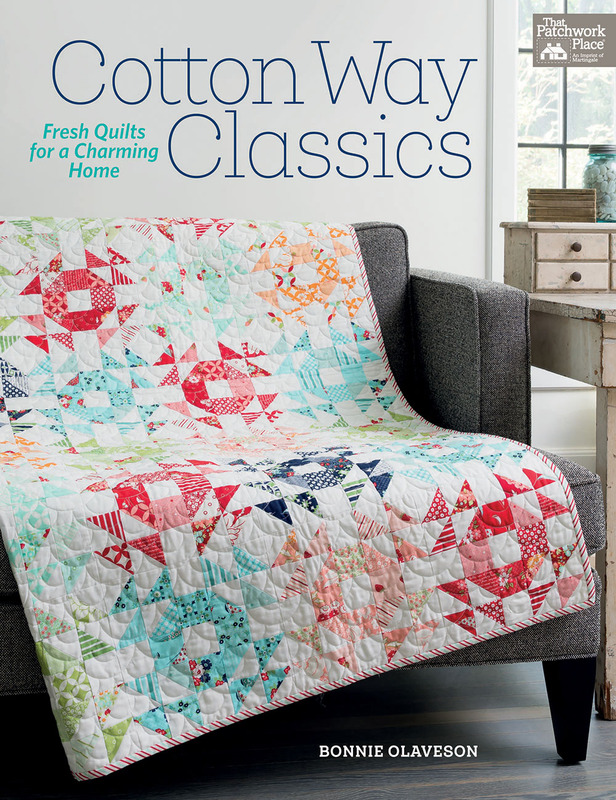 Cotton Way Classics has pages full of eye candy and brain food. A keeper!! !